So the other day I posted 8 acne causing habits and talked about how I am becoming more aware of what I’m putting on my skin and looking for great products that really work. Apple cider vinegar is one of those great products. 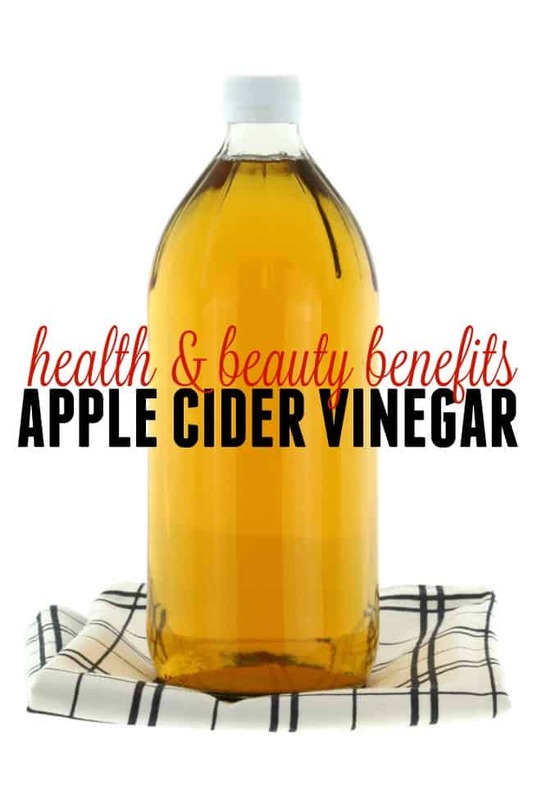 Check out some of these great benefits you can get from using ACV. It Regulates your skin’s pH. You can replace your toner by diluting ACV (Apple Cider Vinegar) with 2 parts water and 1 part ACV. You can use ACV to get shiny hair. Pour through your hair (1 part ACV to 4 parts water) after shampooing a few times per week. Soothe your sunburns with ACV. You can add a cup of ACV to your bathwater and let your body soak for 10-15 minutes. Apple cider vinegar is great for mucous. If you have bad allergies or sinus problems use 2 tbsp. of ACV to 1 cup of warm (not hot) water. Use this mixture in a neti pot to rinse out your sinus cavities. ACV can help remove teeth stains. Rub your teeth with the vinegar and rinse with water. A teaspoon of ACV along with a glass of water will help alleviate heartburn. Back to the hair, mix half water and half vinegar and scrub it into your scalp. It is great for dandruff. For the guys…. It works great as an aftershave. No kidding! NOTE: Apple Cider Vinegar is not recommended for color-treated or processed hair. Proven ways to get kids to eat more vegetables! Wow, I didn’t know there were so many ways to use apple cider vinegar. I will need to make sure I keep acv in the house! Yep, tons! I’m sure there are even more for health and beauty reasons and I definitely know there is more for household reasons. I plan to do a post on the household benefits as well. I know SO many people who swear by ACV but I’m seriously scared of it, lol. I need to give it a shot! Nothing to be scared of, now if it was so random chemical that was the new hit thing. haha You could try it first on something simple like maybe in your bath water. Between helping with sunburns and whitening teeth, I obviously need to invest in some ACV! Wow! More uses than I realized! Great tips! I swear by ACV for so many things! It’s my go to toner when I’m out of product or having a breakout! I used to use it as a toner but I stopped b/c I didn’t like it as much as witch hazel. I didn’t know it could remove teeth stains too! I’ve heard there are a lot of great uses for Apple Cider Vinegar. Another tip I’ve been told about is to put some in your green tea and it boosts energy. Wow, I didn’t know there were so many great uses for apple cider vinegar! I love the one where it can remove stains from your teeth. These are some great ideas. I use it regularly for a hair rinse with good results. However, do some more research before you use it on your teeth. I’ve heard it can soften the enamel and do permanent damage. It is not recommended on colored treated hair as it can strip the color. I don’t dye my hair so I didn’t think to add that note in but I will now. Thanks! Most of my family raves about ACV for a multitude of ailments, I recently posted apple cider vinegar detox recipes on my blog. Making an ACV detox daily is as easy as brewing a cup of coffee or tea and gives you an amazing energy boost!